Imagine the scene… You’re looking back at your wedding album on your 25th anniversary, reliving the precious memories, recalling how very youthful your husband looked with a full head of hair and fondly remembering your slim, wedding-ready figure. Whilst gazing upon a group photograph you find there, amongst the beaming faces of your nearest and dearest, a face you just don’t recognise. Rest assured, it isn’t early onset dementia. 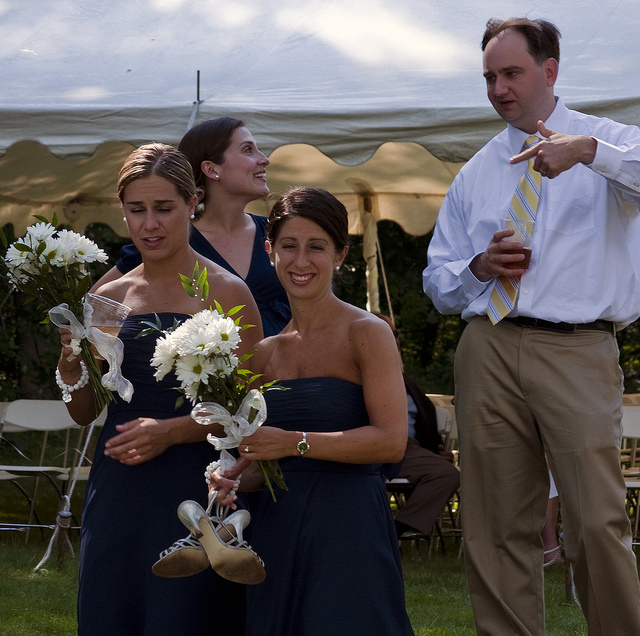 The unfamiliar guest was in fact, you recall, your ex-best friend’s ‘plus one’ for whom she begged an invitation a week before the wedding and whom she dated just long enough for this stranger to become a permanent fixture in your most treasured photographs. Do I want someone I don’t know at my wedding? Does my guest know anyone else on the guest list? If the answer is ‘no’ to at least two of those questions don’t offer the option of a ‘plus one’. You’ll feel resentment towards the unwanted individual and, quite possibly, towards your guest too. From a guest’s perspective, if the invitation doesn’t say your name alongside the words ‘and a guest’ it’s safe to assume the couple only want you there. Chances are they’ll have invited other single friends so you won’t be the only one arriving on your tod and the added bonus of going solo is the delicious possibility you won’t leave alone.